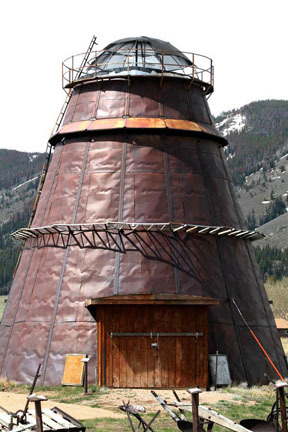 In the 1920s Lars Johnson, Vern Anderson, and Les Bayh built this burner from scratch. It was used as part of their lumber operation through the 1950s and originally stood on a hill on the north side of the highway, across from the museum. Donated to the museum by Vern and Kay Anderson, tt was moved to the grounds – very carefully – on June 8, 1987.